He got too close to Neal in Qualifying! 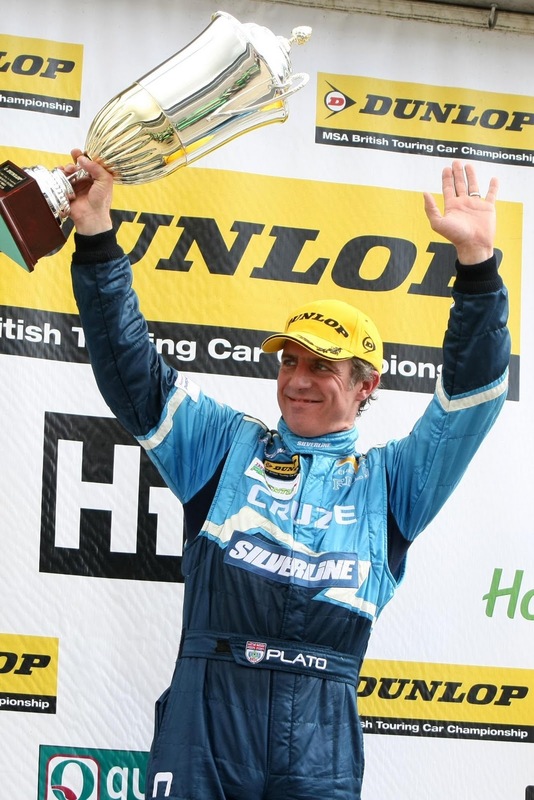 A superb qualifying session and a textbook victory in the first of the Rockingham races in the Dunlop MSA British Touring Car Championship have helped keep reigning champion Jason Plato’s championship title hopes alive as the season heads towards its climax. 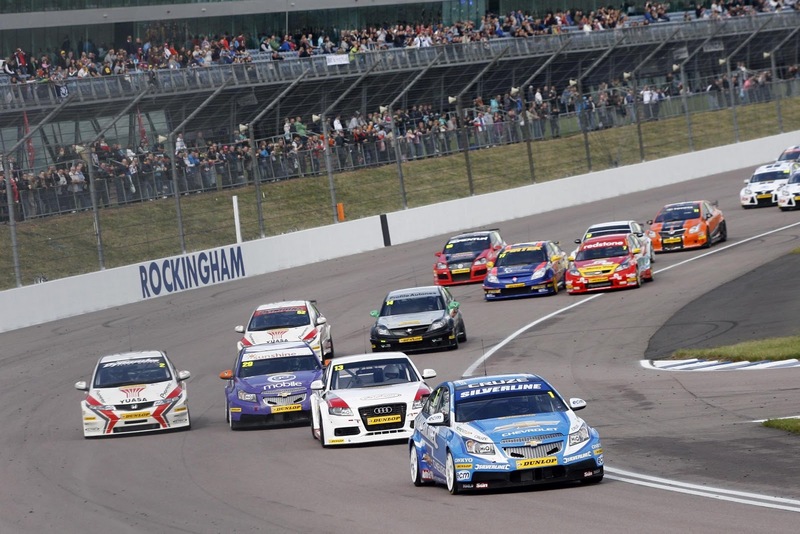 Despite some controversy during Saturday’s qualifying session (Read on, dear Overdrive visitor), the Oxfordshire-based ace put the RML-prepared Silverline Chevrolet Cruze on pole position to lead Race One from start to finish at the Northamptonshire circuit. And it was a Chevrolet Cruze 1-2, with independent driver Paul O’Neill bringing his privately entered Cruze home in second, his best result of the season. The first race wasn’t so lucky for Plato’s team mate, 20-year old Alex MacDowall. The Cumbrian driver was heading for a solid points finish, but tangled with Andy Neate’s Ford Focus on lap 8, somehow managing to recover his Cruze from what could have been a massive high-speed accident to avoid further collision. 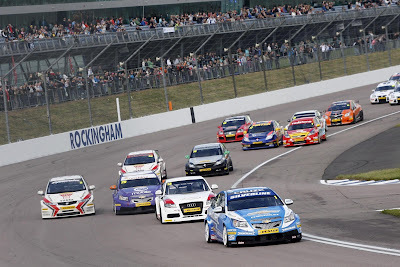 Race Two was always going to be a challenge, with Rockingham’s fast home straight and NASCAR-style oval turns limiting the first race winner’s acceleration, thanks to 45kg of success ballast. Plato was immediately put under pressure by the two turbocharged Hondas, which were carrying no success ballast, but remained in contention throughout to finish a solid fourth. But it was further frustration for his young team-mate. Having started from 15th on the grid, MacDowall had climbed to 10th overall before he was pushed into a spin by Rob Austin’s Audi on the unlucky 13th of the race’s 16 laps. Race Three saw another stunning drive from Plato, passing four cars, including both Hondas, in one manoeuvre and then edging ahead of Jeff Smith on Lap 7 to finish 5th overall, from a mid-table start. Critically, Plato finished ahead of both Matt Neal and Gordon Shedden, who scored no points in the day’s final race, to edge closer to contention in the title. MacDowall’s race was, thankfully, uneventful and he finished 11th overall. Plato now trails championship leader Gordon Shedden by 24 points, with a maximum of 104 points available from the last two meetings of the season, at Brands Hatch, Kent, on October 2 and Silverstone, Northants, on October 16.